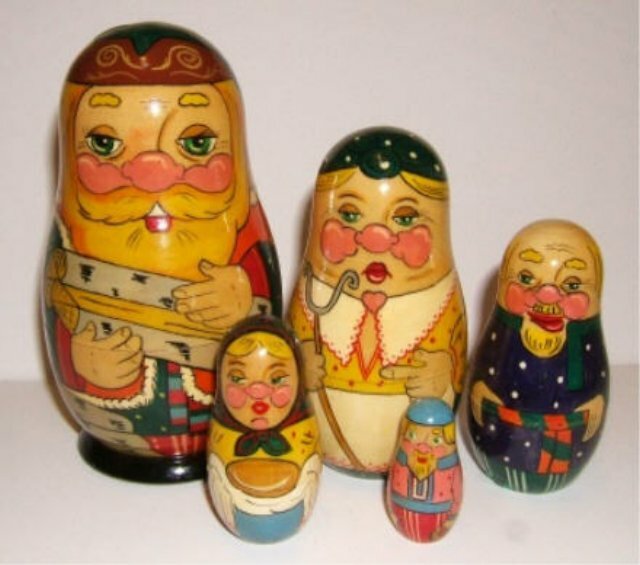 This Art Matryoshka was made in the USSR in 1991. Excellent condition as made yesterday. This set features a woodcutter and other adult family members. The woodsman with dog carries logs that he has been chopping. The next doll inside seems to be dressed as a woman with a staff-like tool and duck, but with short hair and a bald neck. Inside are a bald man with a cat, an old woman with bread and towel, and finally another man with a beard.